The Department of Emergency Medical Care and Rescue has both a national and international reputation in the education of high – quality, professional emergency care providers who are well sought after across the globe. This has become evident when the Durban University of Technology’s (DUT’s) Keanan Reynolds formed part of the rescue relief efforts during the recent Cyclone Idai in Mozambique. Reynolds currently heads the technical and medical rescue at the DUT across all levels of the Bachelor of Health Sciences degree. He was recently part of the Rescue South Africa team, performing his duties with such distinction that he received a letter of commendation from the United Nations. DUT’s Keanan Reynolds rescues three people off a roof. 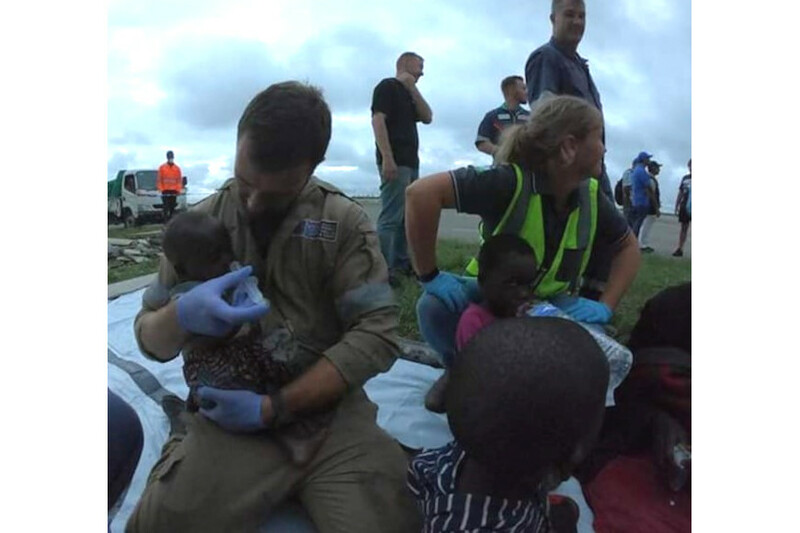 On 12 March 2019, Rescue South Africa received a call to aid the Mozambique government in light of the impending cyclone that was bearing down on the coast of Mozambique. The intense Tropical Cyclone Idai was one of the worst tropical cyclones on record to affect Africa and the Southern Hemisphere as a whole. The long-lived storm caused catastrophic damage in Mozambique, Zimbabwe and Malawi, leaving more than 900 people dead and hundreds more are missing. 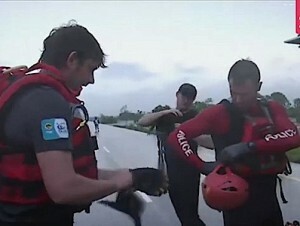 Giving an account of his mission, Reynolds said the South African team were literally the first rescue people to see the devastation on ground level. 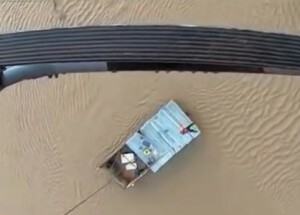 “On 14 March 2019 Cyclone Idai made landfall just south of the city of Beira, Mozambique as a class four cyclone. We were at this time approximately 400km away in Valukunos and saw some of the effects of the hot winds bending trees and the torrential downpour pelting down on us. The next day we would be the first boots on the ground post the storm,” he said. Reynolds added that it was widely unknown what the full impact of the storm was, the local government and its people were still in a state of shock and desperately scrabbling to gain order and direction. Keanan Reynolds helps set up to the night aquatic rescue after the dam bust. Despite all obstacles, he and his team worked till late into the night with the use of non – motorised craft and live bait swimming techniques, getting numerous victims removed from the last remaining limbs of trees sticking out of the flood waters as well as roof tops which were on high ground. “These lifesaving rescue efforts were conducted for a period of 10 full days, with the South African team which I was a part of, aiding in active rescue missions, planning and reconnaissance efforts as well as providing consultation to the local government with regards to rescue strategies. The privilege of saving another’s life is one that very few are afforded and I have to thank Dr Sobuwa for supporting the deployment and Rescue South Africa for compiling the rescue team and facilitating the deployment of the South African team,” he said. Ian Scher, Chief Executive Officer from Rescue South Africa, send a letter to the DUT’s Emergency Medical Care and Rescue, Head of Department, Dr Simpiwe Sobuwa. He thanked the department and DUT for the support given to Rescue South Africa during their recent deployment to Tropical Cyclone Idai in Beira, Mozambique. “This response, due to early intervention, proved to be the most successful rescue deployment to date due to the fact and we (Rescue South Africa team) were able to save literally hundreds of lives. I would like to give special acknowledgement to one of your staff members, Keanan Reynolds, who formed an intrinsic part of our rescue team. He performed his duties with such distinction that he received a letter of commendation from the United Nations. This is the first time this has ever happened to members of our team and we were honoured to have him on board. Rescue South Africa looks forward to future collaboration with the University and its staff,” he said. Pictured: Keanan Reynolds helping feed children, in the wake of the devastating cyclone in Mozambique.